It took me almost twenty years of teaching to recognize the pattern. Every spring semester, come March, my stress built to an unsustainable point, and I sank down deep into depression. In the spring of 2017, it hit harder than ever, for no particular reason, like bad weather. I would sit in my car before class and cry and cry, until time ran short. Then I cleaned myself up, and with stubborn pride, went into the building to teach a good class. I didn’t think about the connection between teaching and depression until I talked with my friend, also a teacher, and also prone to depression. He told me that teaching was inherently a hopeless endeavor. We can’t help but fail our students. We teach the wrong thing, or we teach the right thing in the wrong way, or we say something carelessly that has a bad effect. Our students need more than what we can possibly give them. And sometimes, our ability to give simply runs out, which feels like the worst sort of failure. Meanwhile, I would argue, the institutions we work for emphasize all of the wrong things — the end goals, rather than the process. Through “student learning outcome assessment,” they turn the heart work of teaching into a bureaucratic checklist. The recent obsession with assessment creates an atmosphere of anxiety for both teachers and students, an anxiety that ironically inhibits real learning, which requires openness. To achieve these learning outcomes, we must hammer home narrow-minded lessons as opposed to opening our students’ minds up to the complexities and mysteries of the world. My friend worried that he was sending his students out into the world unprepared — and of course we are. No one even knows what college is anymore. Is it meant to prepare students for future college courses, or is it a type of job training? Is it a primer on the modern world, or is it intended to engage students in the deep philosophical questions that have puzzled thinkers since the beginning of humanity? Maybe we are trying to do a little of all of these, in which case we are probably not succeeding at any. In any case, my friend was considering giving up teaching for good, and in his struggle I recognized some of my own despair. I wonder, am I strong enough to keep doing this work, which demands so much of my heart? Am I strong enough to go my own way, despite pressures to teach “smaller”? In teaching, we make ourselves vulnerable every day, and naturally, we get hurt. We say something dumb and feel ashamed. A student we were trying to help turns against us. Once, I taught a class that I thought was a success, only to overhear some students in the ladies’ room laughing about how boring it was. That happened over ten years ago, but I still feel pain inside when I think of it. I have not solved the problem of depression and teaching, but something did happen that changed my perspective. 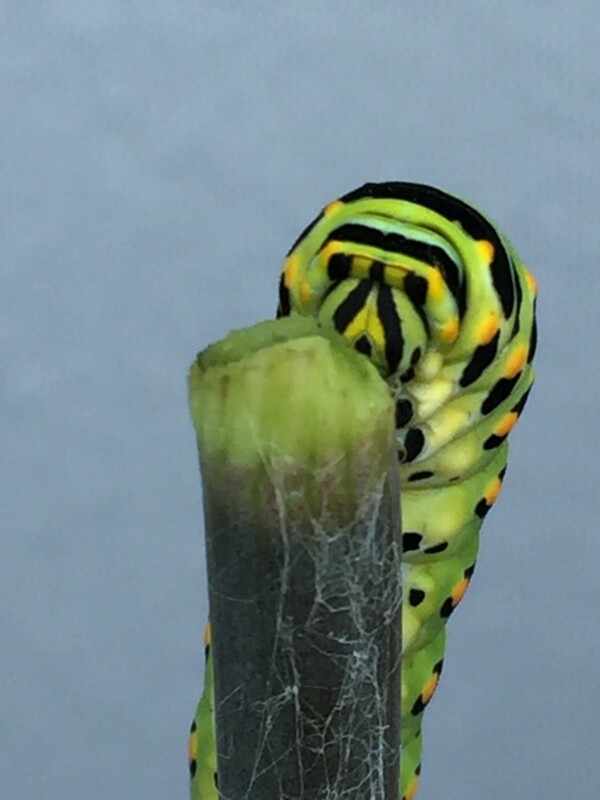 During the spring of my worst depression, I spotted a caterpillar on the milkweed plant in my backyard. My husband and I took a closer look, and we counted nine — no, ten. It was June, and I spent most of that summer watching the caterpillars eat. There was something soothing and enchanting in their simple process of eating and eliminating. I loved how they stretched their growing bodies and moved with surprising speed towards the next juicy leaf. With time, the caterpillars found safe spaces in the garden and began the quiet, mysterious process of transformation. I spent hours searching my backyard for the jade-green chrysalises, finding one on the inside of the garage door, another of the underside of a zucchini leaf. Each discovery felt like a little miracle. The caterpillars did not heal my depression — I needed medication for that — but they did heal me. 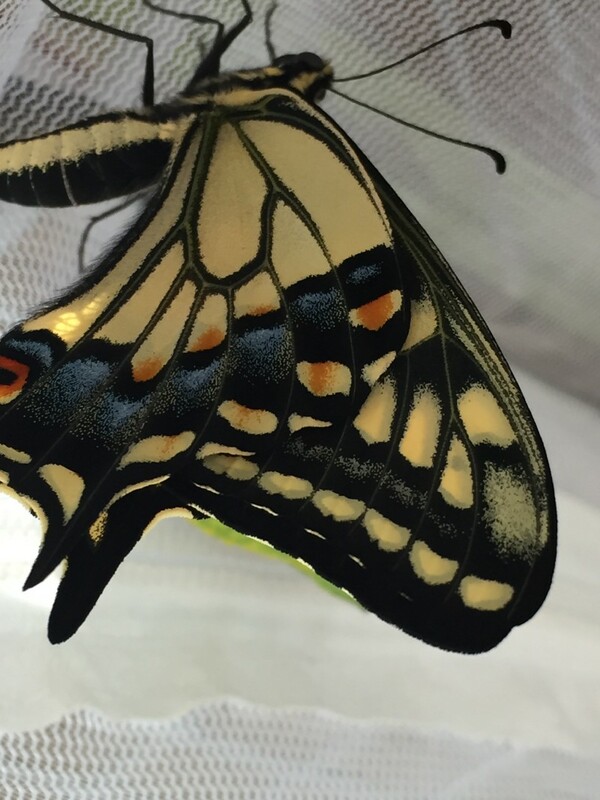 To watch them evolve from odd, cartoonish eating machines into something so fragile, strong, and majestic as a butterfly — that made me feel small, and in feeling small, I could let go of some of my expectations of my teaching. I could know, too, that even when life seems drained of joy, as dull as eating milkweed for breakfast, lunch and dinner, well, who knows what might come next? The world has seemed more interesting to me since I started raising butterflies. When I watch a newly born butterfly unfold its glorious wings for the first time, it reminds me that nothing is ever boring, or hopeless, or fully understood. This is what I want to have in mind when I teach my students: the excitement, not the end goal; the mystery of learning, not the judgments of assessment. All of this led to my art tattoo. 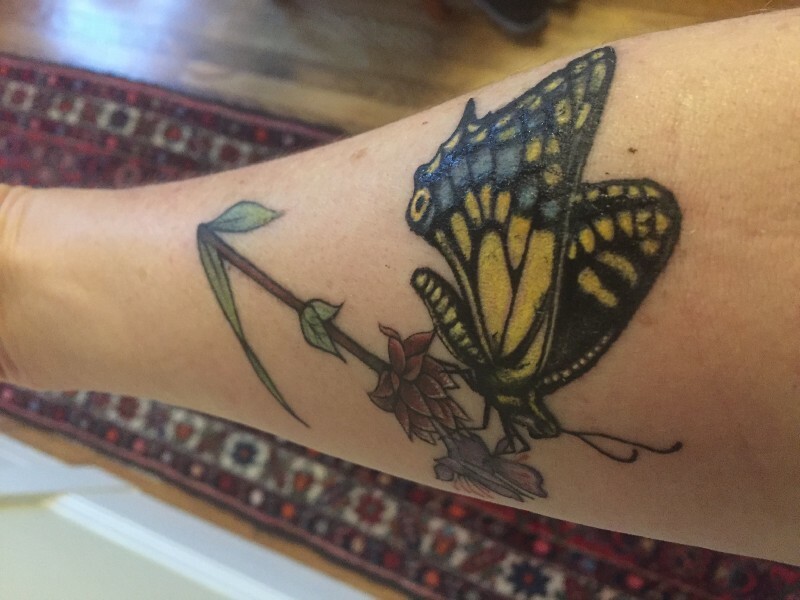 I worked with the inspiring artist Jennifer Untalan to collaborate on a tattoo that would keep reminding me of what the butterflies had taught. Getting a tattoo was itself a lesson in letting go. On the table I could only hope I made a good choice. I breathed in and out, breathing in my trust in Jennifer, breathing out my fear. 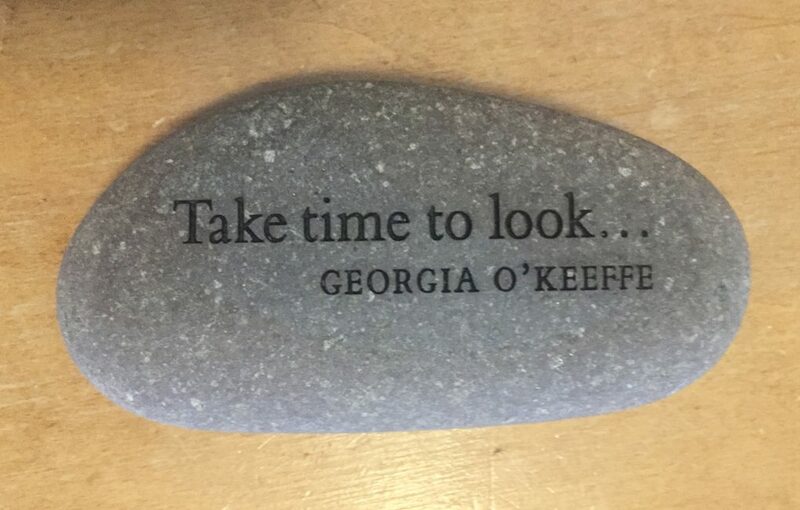 This seems to be a good metaphor for teaching. We do the thing that feels right to us, and then we must have the trust, in ourselves and in our students, to let go. I chose the anise swallowtail as my talisman against depression and hopelessness. The anise swallowtail is local to my city of Alameda, California. Come spring, one sees it everywhere along the bay shoreline, where wild fennel grows. And yet for over ten years, I never noticed these striking, pale-yellow creatures, with their stippled patterns of sapphire and terra cotta. What was in my head that prevented me from seeing them? Now, rarely a day goes by that I don’t observe a butterfly, during walks with my dogs. They are all around us, if we only remember to look. What an insightful, beautiful piece and a reminder to all to be more observant of small miraculous things in our lives! Beautiful and so insightful! Thank you for sharing and reminding us that we all struggle and need time to just breath and enjoy life! In your open and vulnerabile sharing, you describe what would call a spiritual practice: looking, seeing, insights , finding meaning, breathing in/out, and simple presence. I think I get much of what you describe as a benefit of feeling small. With deep gratitude for you.